For some of our guests, there’s no better way to while away the day than gazing at the lake. For others, the ideal day is one where they’re always on the move. Whichever path you choose, you’ll find that we’re well-equipped to provide your perfect getaway. 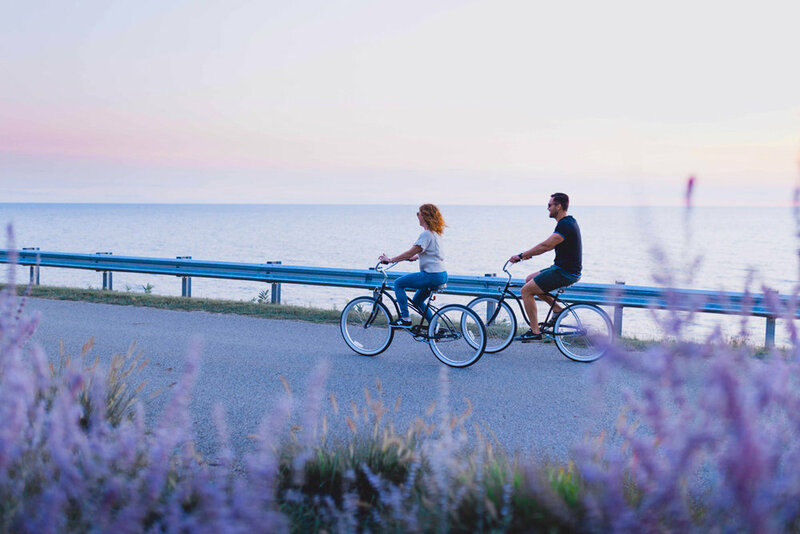 Use our complimentary coaster bikes to take a leisurely spin past century-old cottages and stunning Lake Michigan views along Lake Shore Drive. 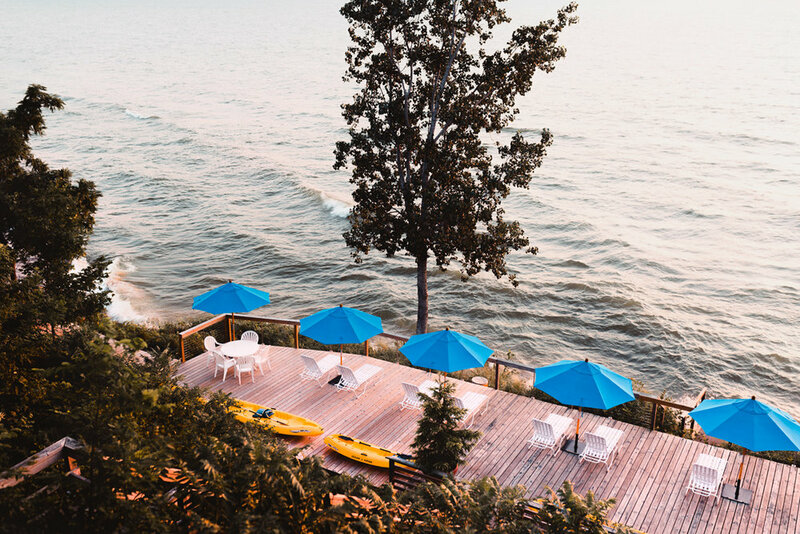 Our shoreline, pool, and lake bluff viewing decks are the perfect place to soak in the sun or watch a glorious sunset over the lake. Use our kayaks to paddle along the shore, discovering rolling dunes, birds, wildlife, and gorgeous lakefront homes.